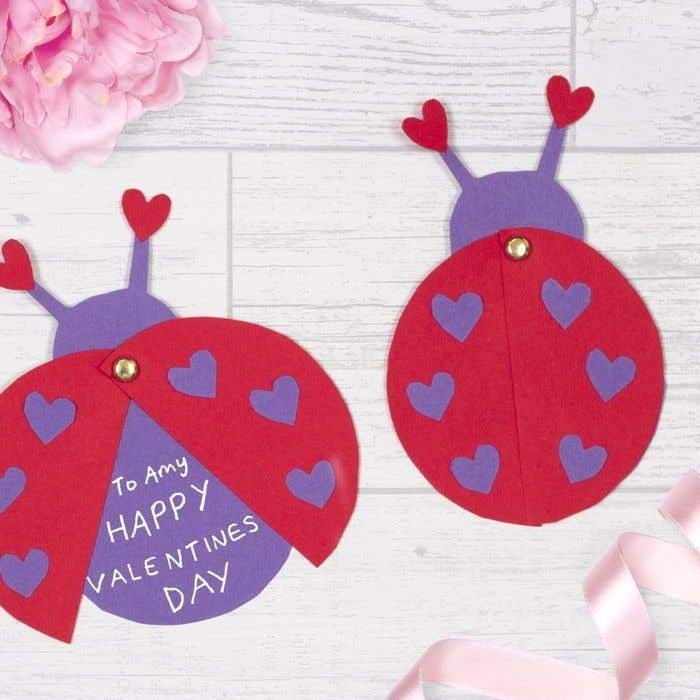 This cute Love Bug card is fun and easy to make and is perfect to give to a loved one. Take a sheet of purple card, place the roll of tape on top and draw around the tape. Draw a small head shape with antenna on one side of this circle. Cut out this shape. Take a red sheet of card, place the tape roll on top and draw around it. Cut out this circle with the scissors. Fold in half, then cut the circle in half along the crease fold to create the wings. Carefully make small slits with the tip of a scissor blade on the corners of the wings and in the centre at the base of the head. 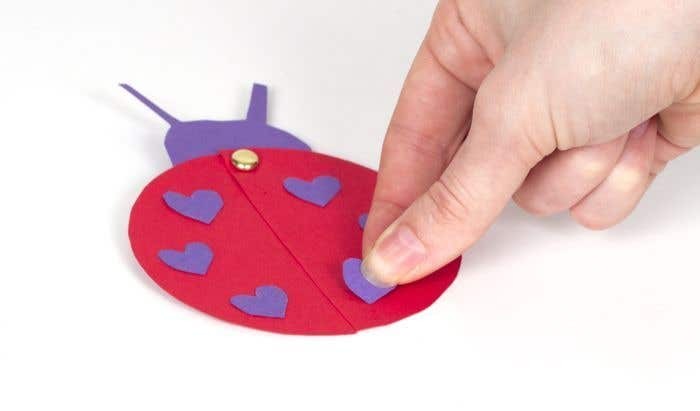 Place the wings on top of the purple card, and push a paper fastener through the top to hold the cards together. 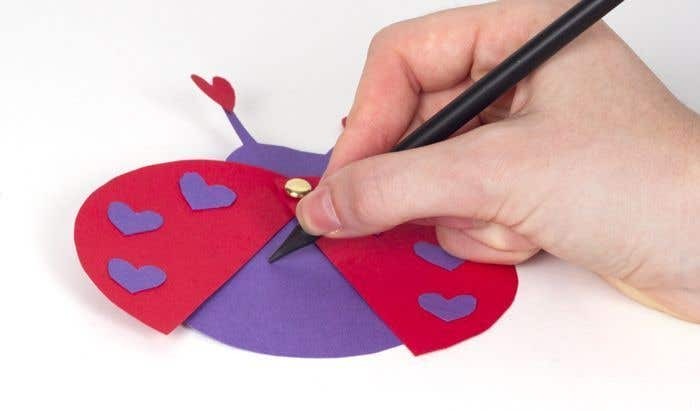 Cut out six small heart shapes out of purple card and stick them to the red wings. Cut out two small red heart shapes and stick them to the top of the antenna. Open the wings and write your valentines message inside. Be careful not to make the slits too large in the card body and wings otherwise the paper fastener will fall through.